How do I get help with citations? - Ask Us! Q. How do I get help with citations? The Library has a Citation & Style Guides that can help you determine how to cite your sources. There are tabs on the page with links to examples for all major style guides. You can also contact the Writing Center for assistance in all aspects of writing a paper. Note: Many databases have citation tools built into them. After you've run a search and are looking at an article from the results, check the left or right column for something like Cite. 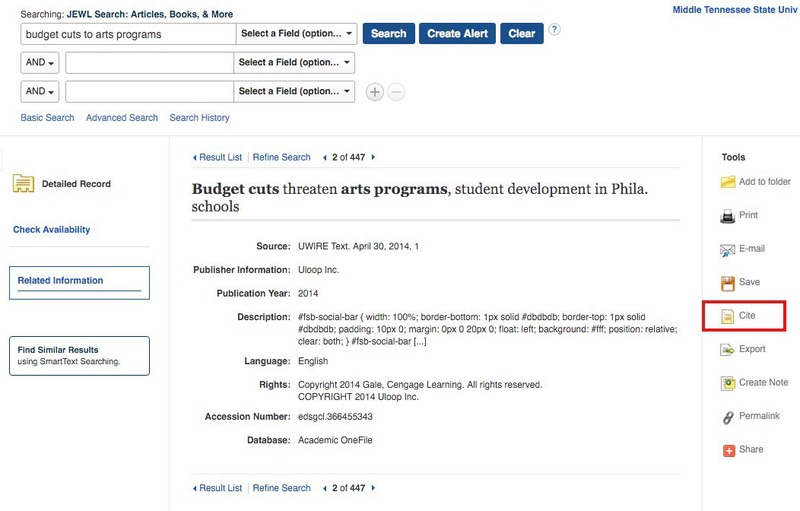 See an example below for EBSCO.